Welcome to episode 45 of Yet Another Tech Show. Thank you all for checking us out. 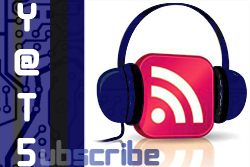 This is the tech podcast with where the tech panelists provide informative, yet entertaining tech discussions. This week we have our full crew of Mat Lee, Larry Press, Mike Rothman and myself Ant Pruitt. Chris Miller of Spiked Studio joins us as well. Sit back and enjoy this week’s show. Do you telecommute? What if your CEO told you that telecommuting isn’t allowed anymore? This is what happened at Yahoo. Marissa Mayer issued a memo to the Yahoo employees stating that telecommuting is no longer allowed. I attempted to take a look at this situation from both sides of the coin. Yahoo was a financial mess recently and really needed to pull things back together as a company. We all have similar views on the situation. Is this Mayer’s Google roots coming through? Popular note taking app Evernote was recently hacked. Evernote claims to have had security measures in place regarding the users accounts. This may have been true, but as Mat explains, sophisticated hackers will work to find a way in. Hackers are patient and persistent. Mat also shares an email he got in his spam folder. It was pretty elaborate and fairly well thought out. Listen to this story. It just goes to tell you that you still have to be careful with your email inbox. The Chromebook Pixel from Google is getting mixed reviews. The Chromebook started as a inexpensive laptop with a cloud-based operating system. They really are nice machines. The Chromebook Pixel is a $1300 device which is really expensive compared to the $250 predecessors. The Pixel has a nicer display and great internal specs, but it’s still a cloud-based laptop. Linux creator Linus Torvalds gives the laptop high praise. Would you take a Chromebook Pixel? Better question, would you BUY a Chromebook Pixel? 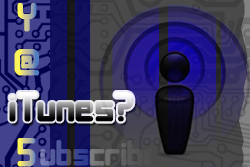 Google is reportedly looking at the subscription music model. Currently your own music is housed by Google to allow on-the-go stream of your music on your mobile devices or computers. YouTube is owned by Google. YouTube has great music discovery capabilities considering it’s a video service. What is Google trying to do here? We discuss that maybe a convergence is coming between the two entities. Larry shared a story he found that discussed the decreasing cost in gene sequencing. What are the ramifications of these costs dropping over time. We speculate that medicine can be more personalized and better matched to for preventive measures potentially. A lot of science and medical terminology we don’t understand fully, but we can speculate that this may lead to further beliefs of longer life. Lastly, Larry wrote a blog post about the difficulty rural and poor countries have when getting broadband internet. As an educator, Larry sees the growing popularity of online education programs. But if you’re in a rural or developing nations, you could be left out on accessing online education materials. Sadly, the gap seems to be growing between areas of haves versus have nots when it comes to high speed connections. Larry brings up another insightful point. Medical facilities can get bandwidth in these areas if need be. Why can’t the residencies have the same privilege? Another episode of Yet Another Tech Show wrapped up. Thanks for the support of our podcast, everybody. Please continue to tell others about our show and subscribe through all of our channels noted on the right of the site. Feel free to comment on our page with your thoughts and questions. Or you may ping any of us in our social media.